Forward, Upward, Onward, by Matt Landry, 2017. 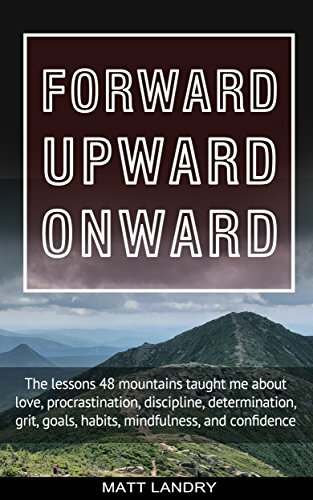 The subtitle of this engaging book is: "Life lessons from 48 mountains about love, discipline, determination, goals, habits, mindfulness, character, and confidence." For the author, as for many hikers, climbing the 4000-footers was a life-changing experience. The reader can come along on this challenging and fulfilling journey, written in an easy-flowing style, and ponder the "takeaway" offered at the conclusion of each hike. 167 pp., 5" X 8".